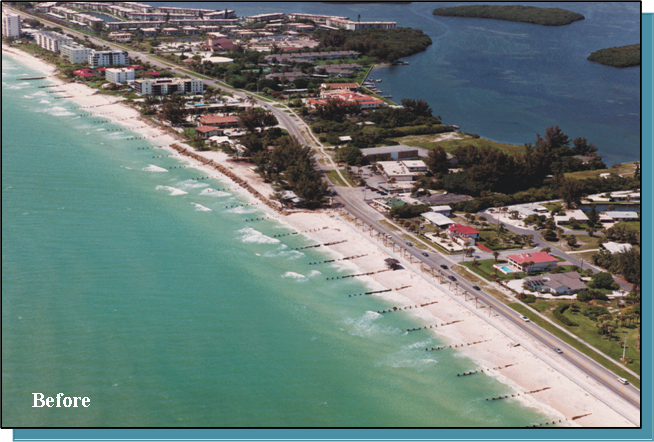 Summary: Ms. Erickson, as the Project Manager and Engineer-of-Record, was responsible for the design, engineering and financing project elements of a 9-mile beach nourishment project at Longboat Key. She was responsible for the design and engineering, evaluation of beach nourishment design alternatives, state funding acquisition, state and federal permitting, preparation of contract documents and construction management services from 1987 to 1995, while working at ATM. She continues to work for private owners within the community in close coordination with the Town. The final construction project placed 3.2 million CY of high quality sand along 9.2 miles of shoreline and removed 6,000 tons of derelict concrete piles and rock rubble with placement of 3,300 tons of piles to create two nearshore artificial reef structures. A three-year post-construction monitoring program was conducted to determine beach volume changes to evaluate sand redistribution, project performance and impacts to hardbottom areas. Continuous sedimentation and turbidity measurements were conducted. 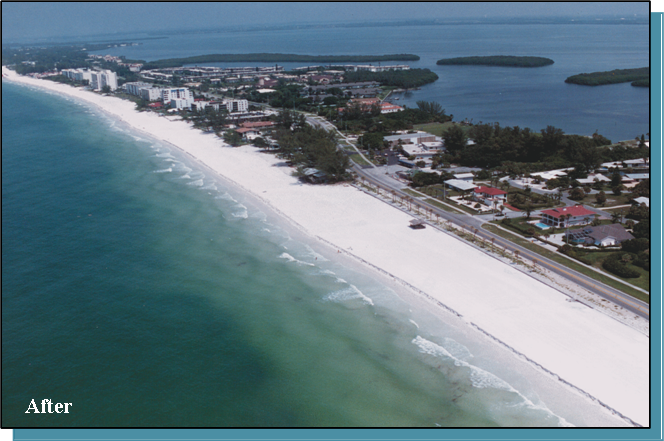 Challenges: Planning and design of the largest beach nourishment by the FDEP and the USACE required a high-level of oversight. Financing of the project was based on local and state funding without federal dollars, which was highly unique at the time. Ms. Erickson signed and sealed all construction drawings including the New Pass Groin extension at the south end of the island and the mid-Key submerged container system constructed in 1994-1996.